Sun Microsystems has established a Center of Excellence at the University of California, Santa Cruz, that will focus on the OpenSPARC initiative, a true "open-source" approach to high-speed microprocessor technology. The Center of Excellence establishes a collaborative partnership between Sun and UCSC faculty who are working with the OpenSPARC community. "UCSC is truly pioneering a new approach to processor development by leveraging open source technologies to drive innovation," said Kim Jones, vice president of global education and sales at Sun. "We anticipate that their efforts will not only deliver great benefits to the OpenSPARC community, but also positively impact the future course of how all microprocessors are designed." The OpenSPARC initiative began in 2006 when Sun released the underlying design of its UltraSparc T1 processor (also known as "Niagara") under the terms of a General Public Licence (GPL). The move extends to chip design the basic concept of open-source software, which makes the underlying source code for a software program freely available so that other software developers can modify and improve the program. With OpenSPARC, the idea is that releasing the hardware source code of the processor (known as the RTL) will enable software developers to create innovative derivatives, tools, and applications faster and with a higher degree of hardware integration than ever before, while providing unique, high-value solutions for specific markets. As of February 25, 2007, there have been more than 4,500 downloads of the OpenSPARC T1 RTL. UC Santa Cruz is the first OpenSPARC Center of Excellence. 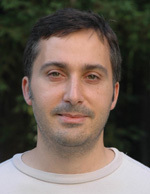 Jose Renau, an assistant professor of computer engineering at UCSC, serves on the OpenSPARC community governance board. "We have several projects at UCSC that are relevant to OpenSPARC. The Center of Excellence will advance our work in this area by strengthening our relationship with Sun," Renau said. Renau's expertise is in computer architecture and microprocessor design. His projects include an architectural simulator that models a wide set of architectures and can be used for SPARC simulation. This and other projects will benefit from Sun servers and other equipment obtained through the Center of Excellence, Renau said. New equipment will also allow Renau and other faculty to use OpenSPARC in various computer engineering courses. Note to reporters: You may contact Renau at (831) 459-1847 or renau@soe.ucsc.edu.